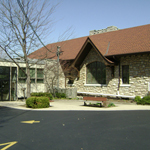 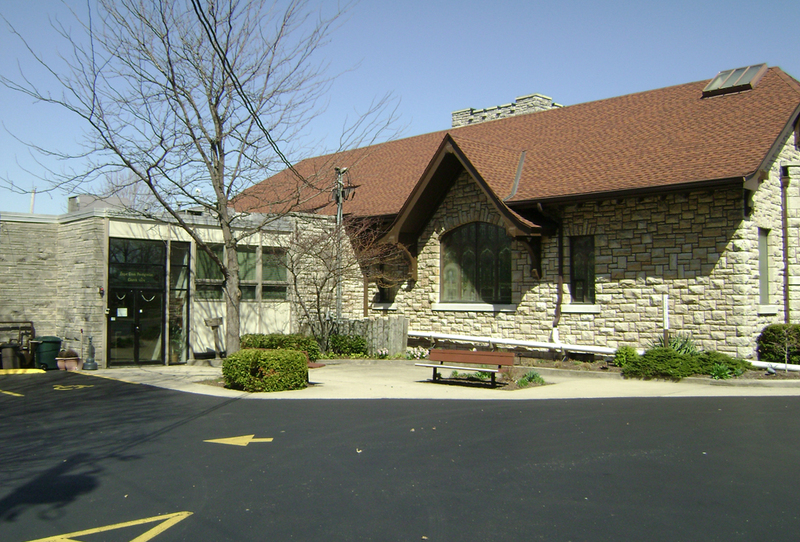 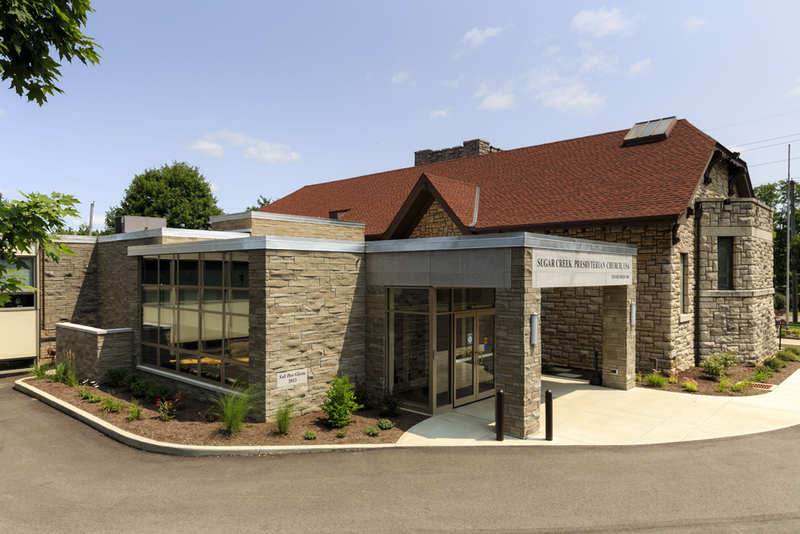 Sugar Creek Presbyterian Church wanted its building to reflect a spirit of inclusion and hospitality — to be a space that welcomed everyone, regardless of physical impairment. 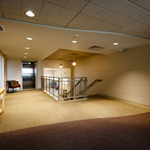 The renovations and new addition created such an open environment by solving several accessibility challenges. The ground level entry to the church had a small landing that immediately led to stairs. 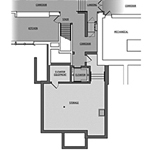 The arrangement was not welcoming to visitors, and because of the narrowness of the stairs, circulation was difficult. 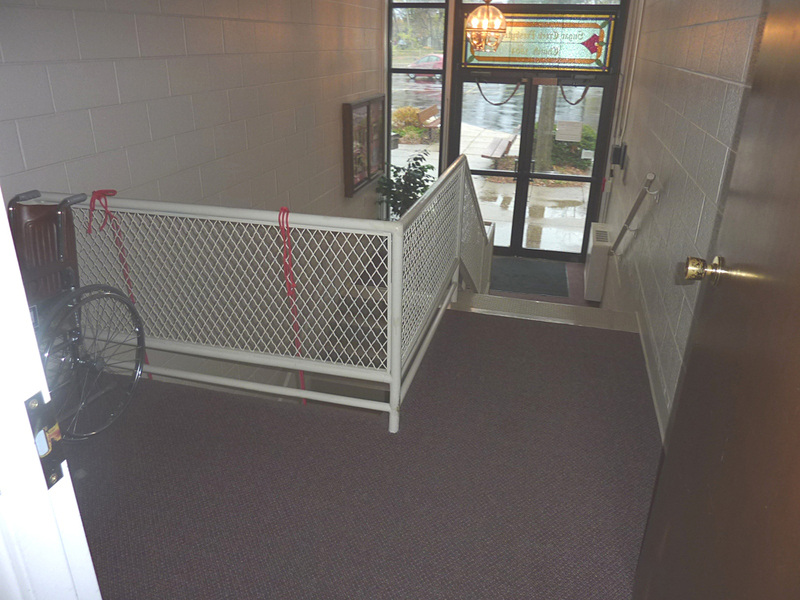 Also, the building was not wheelchair accessible from floor-to-floor within the building. 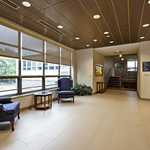 The new addition included a wheelchair accessible ground-level lobby equipped with automatic entry doors. 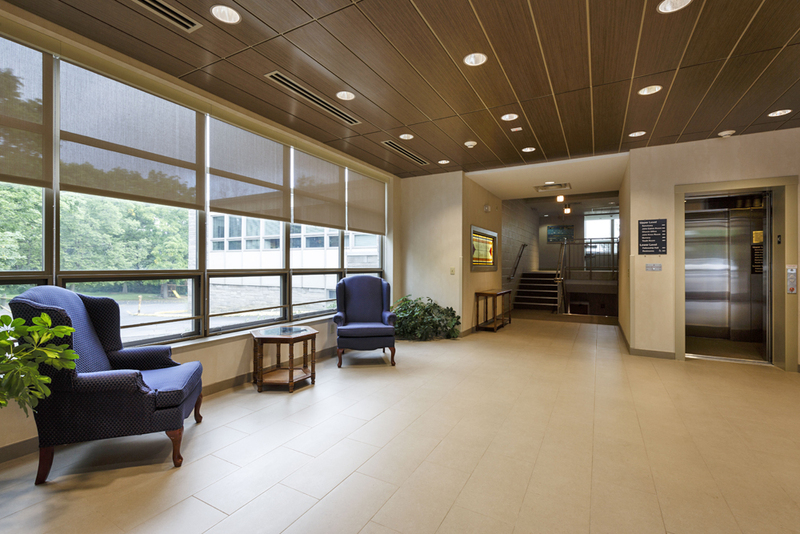 The lobby, spacious enough to accommodate large groups, now features a bank of west-facing windows allowing natural light to penetrate the space. 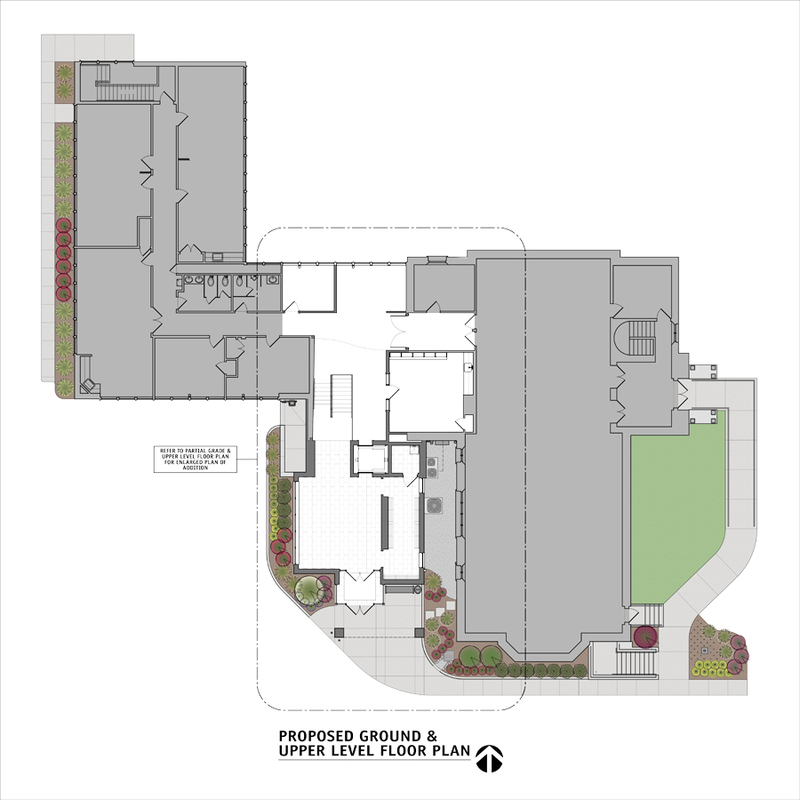 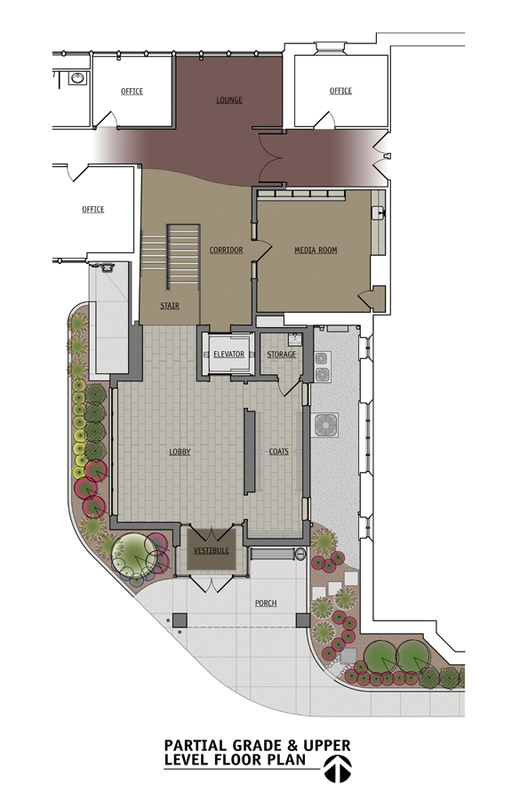 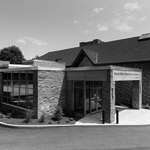 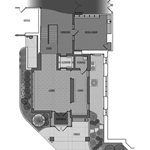 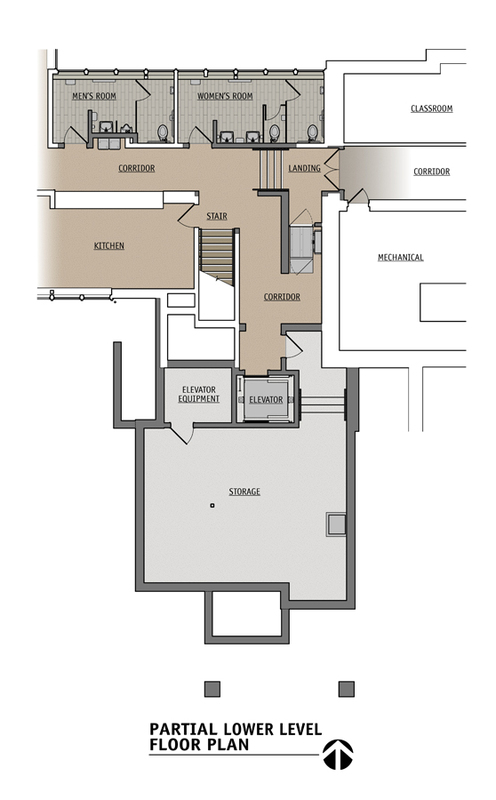 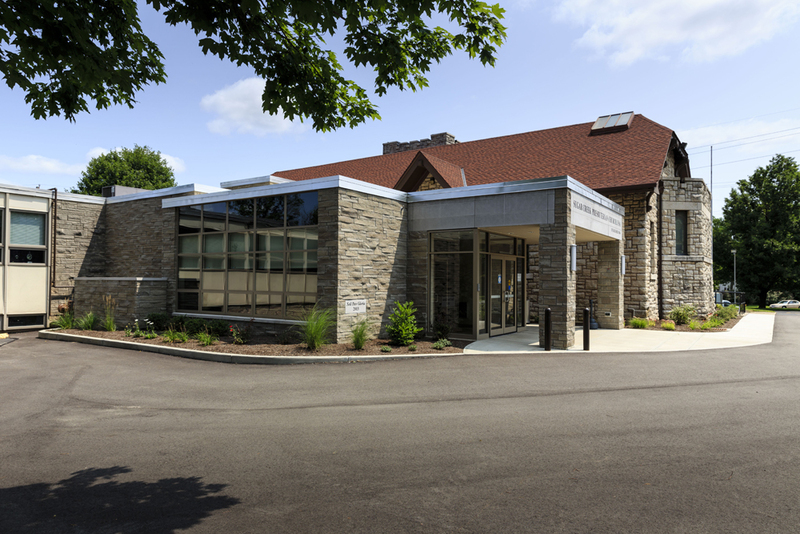 Adjacent to the lobby is a coat room, kitchenette, the existing stairway, and a new elevator providing access to the sanctuary level and down to the lower level fellowship hall. 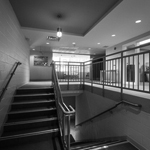 The masonry enclosure and doors around the existing stairway were removed and replaced with railings to create a feeling of openness between floor levels. 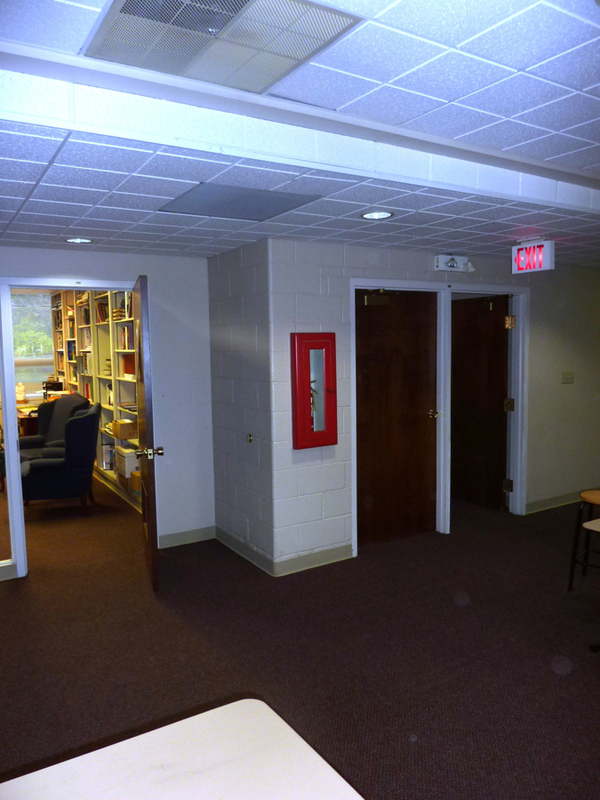 The changes allowed visibility from the new entry lobby, up the stairs and into the existing corridor and lounge outside the entrance to the sanctuary. 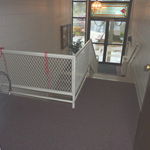 A wheelchair lift was installed at the lower level where the fellowship hall is located to allow access up to the classroom level below the sanctuary. 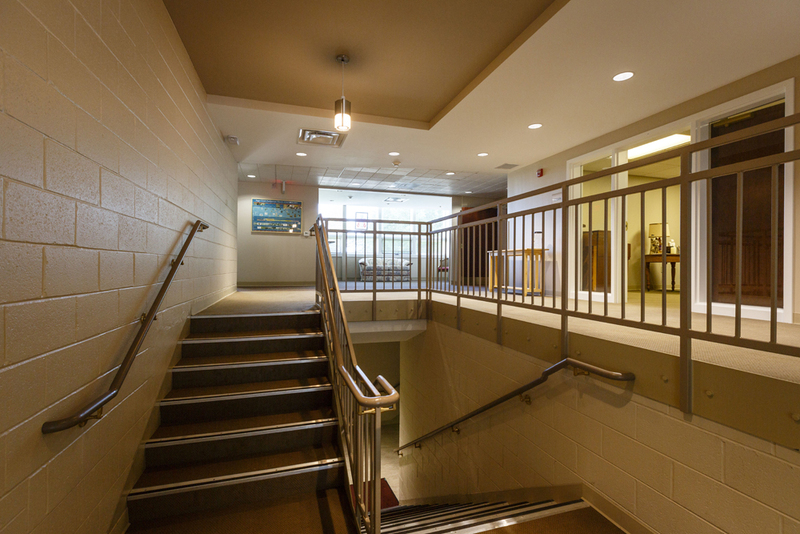 This lift along with the elevator allows all four floor levels of the church to be wheelchair accessible from within the building. 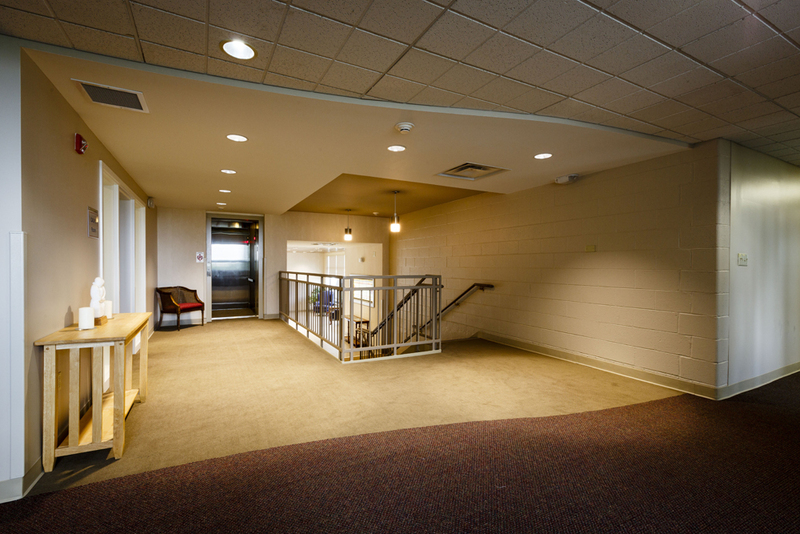 The two lower level restrooms were modified so they are wheelchair accessible with automatic door operators. 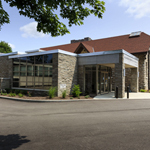 New landscaping connects the existing sanctuary to the new welcoming lobby, while also softening the edges of the buildings. A new office and a large storage area are also included in the plan. 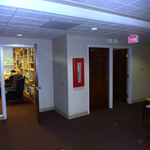 The existing library was renovated and reconfigured to become a meeting room.